Dogs and cats that are being bathed tend to splash a lot, thus Silikal grooming area flooring will not allow even one drop to slip under its flooring. Floors found in a grooming area must be easily cleaned, as well as pin hole free to prevent water from entering under that floor. Grooming area floors are special floors, as they must be trouble-free to keep clean as well as being monolithic to prevent water from seeping under them. 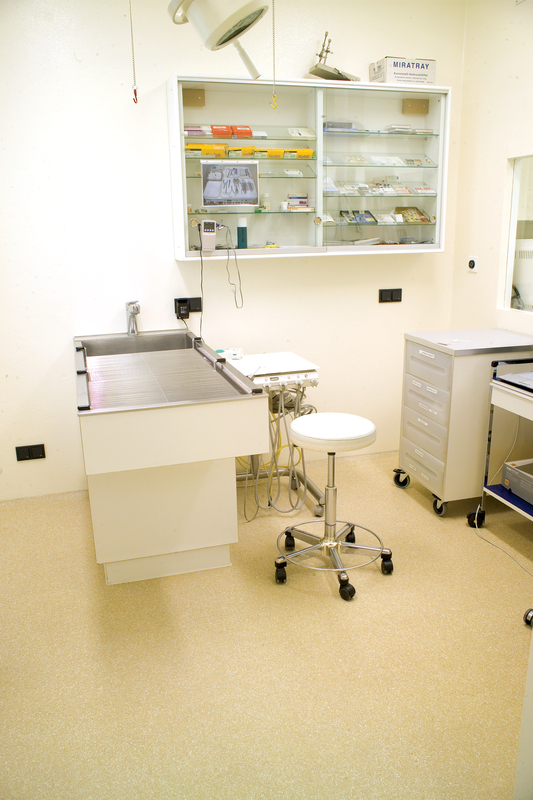 If you own a doggie beauty parlor, or a stable you may be on the lookout for grooming area flooring. 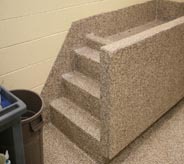 Often those who handle rubber matting will try to convince you that there is nothing better for grooming area flooring. Actually those mats are great at first, but once you need to take them up, clean them off, and then dry them before replacing them, you may not be as enthused with rubber matting. Also they tend to hold hair which for those who clip animals for a living makes them a true nuisance. Further, if you are seeking grooming area flooring to protect your existing floors, rubber matting will do just the opposite if one of those animals should urinate on the matting. You see, whatever flooring you have underneath the mats, be it wood, ceramic tile, composite tiles, or even concrete, the urine will penetrate it and go to the subflooring. There it will create more problems for you, such as turning into mold, or even worse, create an odor problem. Even if underneath is nothing but concrete, as concrete is a porous substance, the same thing will happen. Just the wet groom store environment alone has been known to ruin many floors. There is no way to stop a canine from shaking after all when it wishes to shake after a bath. Pets also like to splash and cause water to spill everywhere, so having some kind of grooming area flooring that is impervious to wetness is imperative. 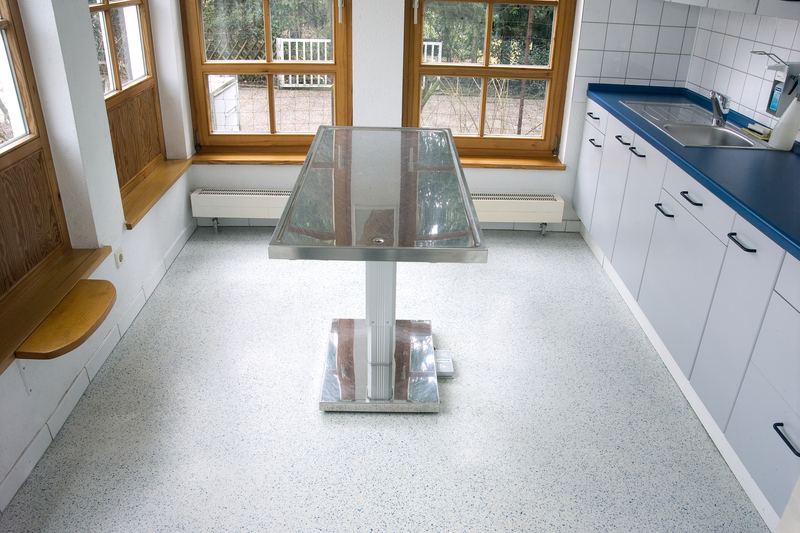 Stained concrete is often suggested for grooming area flooring, but the problem with that is that although it is relatively simple to clean, stain will wear away with a lot of usage. 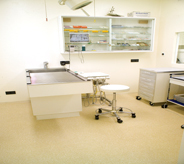 The result is a rather unsightly floor which appears to be dirty even when it is immaculate. We all know that tile floors are absolutely beautiful, there is no denying that, but as grooming area flooring they leave a lot to be desired. The very wet environment again is going to create problems with water seeping under the tile via the grout, making the tile pop up when enough mold grows under it. Linoleum? Well, let’s leave that particular flooring as totally nonfunctional again due to the wetness of the grooming environment. There are even more products to be considered, acrylics, urethanes, waxes and so much more, but only Silikal utilizes enhanced MMA. When utilized as flooring it actually becomes part of that floor, it does not sit upon it as many other flooring solutions do. So, there will never be any wear and tear, no water damage, no chipping, and not even scratches will mar your grooming area flooring. What’s more the flooring will start out beautiful, and will remain beautiful, no matter how many dogs, cats or horses walk upon it. Cleaning it will be ultra-simple, as it can be mopped down, or hosed down and then let dry. Never again will water leach into your cement floors, much less animal urine. In addition, Silikal will even prevent all manner of molds and even bacteria from grabbing footing of your underlying cement. Silikal is the perfect grooming area flooring.